In-Service Training Guidelines Document dated May 30, 2012. Click here to view the In-Service Training Guidelines in .pdf format. In-service training is that training required by law of certified Kansas police or law enforcement officers. Kansas law requires each certified, full-time, employed officer to receive 40 hours of such training annually. "Beginning the second year after certification, every full-time police officer or law enforcement officer shall complete annually 40 hours of law enforcement education or training in subjects relating directly to law enforcement. Failure to complete such training shall be grounds for suspension from work without pay until such training is completed. The director with the approval of the commission shall adopt rules and regulations regarding such education or training. Such education or training may include procedures for law enforcement to follow when responding to an allegation of stalking. Every city, county and state agency shall annually send to the director certified reports of the completion of such education or training. The director shall maintain a record of the reports in the central registry." Again, beginning the second full Kansas Law Enforcement Training Center Fiscal Year after certification, full-time police officers or law enforcement officers shall comply with the annual in-service training requirements. K.S.A. 74-5607a(b). Question: What does "the second full year after certification" mean? Answer: The Central Registry operates on a fiscal year basis. In other words, the "training year" for in-service training compliance purposes runs from July 1 through June 30. EXAMPLE: Officer A graduates from KLETC on May 1, 1996. To determine in which year his in-service requirement is triggered, remember to use the fiscal year. So, the first full fiscal year after May 1, 1996, runs from July 1, 1996, through June 30, 1997; the second full year starts on July 1, 1997. It is in that second full year that the in-service obligation begins. Accordingly, Officer A must complete 40 hours of in-service training between July 1, 1997, and June 30, 1998, and each year thereafter. Question: Who must comply with this law? "Grandfathered" Officers. Those who received permanent appointments as full-time police officers or law enforcement officers prior to July 1, 1969. Kansas Academy Graduates. Officers who graduated from a basic course of instruction offered at the Kansas Law Enforcement Training Center, or a certified state or local law enforcement training school. "Reciprocity Certified" Officers. Officers who received their initial certification from another state and who have been granted reciprocity certification by the Director of Police Training pursuant to K.S.A. 74-5608a. Railroad Officers. Officers employed by railroads in Kansas who do not qualify for the federal certification exemption. Question: Who has the responsibility to see that an officer receives the required 40 hours of in-service training? Answer: K.S.A. 74-5607a(b) imposes upon THE INDIVIDUAL OFFICER the obligation to receive the training. In other words, it is ultimately up to the officer to ensure that he/she receives the required training. However, K.S.A. 74-5617(g) requires the officer's agency to provide the opportunity to receive training; in other words, the agency must take reasonable steps to allow its officers the opportunity to obtain the required number of training hours. Requests for modifications, extensions, or waivers of the in-service training requirement shall be considered on a case-by-case basis; such requests must be directed, in writing, to the Director. Requests for extensions of the time period in which to satisfy the in-service training requirement must be submitted to the Director using KSCPOST form CR323, Extension/Modification/Waiver Request; the request must be signed by the agency head or appointing authority, and shall set forth the grounds upon which the request is based. Generally speaking, modifications of the annual in-service training requirement are appropriate only when an officer, previously-certified in Kansas, has left Kansas law enforcement service but then returns to work as a Kansas officer. Requests for modifications must be submitted to the Director on agency letterhead; the request must be signed by the agency head or appointing authority, and shall set forth the grounds upon which the request is based. For example, Officer A is a certified Kansas law enforcement officer. He leaves service as an officer and is employed outside the law enforcement area. An officer previously certified in Kansas, hired during the period of July 1 through December 31, and has a full 40-hour in-service training obligation. An officer previously certified in Kansas, hired during the period January 1 through March 31, has a twenty (20) hour in-service training obligation. An officer previously certified in Kansas, hired during the period April 1 through June 30, has no in-service training obligation. Cases involving officers who terminate employment but then return to employment as officers during the same fiscal year, or cases involving officers who change employment status (i.e., from full to part-time) during the same fiscal year, will be reviewed on a case- by-case basis. The Commission may waive, in whole or part, an officer’s in-service training obligation when, due to circumstances that do not demonstrate intentional avoidance of the law, the officer was unable to satisfy the obligation. For example, extended medical leaves, or other situations necessitating extended absences from work, may prevent an officer from obtaining in-service training. In such cases, the Director may, upon proper application, grant a whole or partial waiver of the in-service training requirement. Requests for waivers must be forwarded to the Director and must specify the grounds upon which the request is made. The request must be made on agency letterhead, must be signed by the agency head or appointing authority, and must be accompanied by supporting documentation. Supporting documentation must set forth the dates of the officer’s absence from work, and it must be shown that the in-service obligation would, unless waived, be unduly burdensome for the officer/agency. The Director may depart from the general guidelines described in this document when, in the exercise of his discretion, he finds that extenuating or special circumstances so dictate. Compliance with these guidelines should ensure that training will meet all requirements for ultimate approval and crediting to all officers' Central Registry training records. BE APPROVED IN ADVANCE BY THE AGENCY HEAD OR THE AGENCY HEAD'S DESIGNEE. Training submitted to satisfy the annual in-service training requirement may be obtained from a variety of sources, as long as the training meets all requirements set forth herein. Sources may include, but are not necessarily limited to, agency training; training received from an accredited institution of higher learning, such as a university or community college; workshops; seminars; specialized schools; and certain video/satellite-based training materials. In-service credit may also be earned by teaching/instructing law enforcement courses, or by delivering law enforcement training as an approved Field Training Officer (FTO). Requirements for each of these sources are listed in this document. They are earned with the agency head's approval. Such credits will be counted as 15 hours of training per semester credit hour earned. For example, an officer who receives credit for a three credit hour course in Juvenile Delinquency should be credited with 45 in-service hours. Obviously, such credit would entirely satisfy the officer's in-service training requirement for that year. Instructors of the course conducted solely as departmental in-service training are approved and recognized by the agency head as being qualified to instruct the subject matter. Upon request, agency heads shall provide proper documentation that such training is job related, required, and/or useful to the department. The course is taught, in a classroom environment, to at least one other officer; courses of "self-instruction" are not acceptable for in-service training credit. Instructor credit shall be granted only in those instances where officers teach other officers, or other officers are included in the instructor's audience. Instruction delivered to non-law enforcement audiences will not be applied toward satisfaction of the annual in-service training requirement. For example, a class taught by an officer to a public school class does not qualify as instructor credit for in-service training purposes. Only twenty (20) hours of instructor credit may be used to satisfy the annual in-service training requirement. In other words, an officer who instructs other officers for 20 hours must also obtain 20 hours as a student. Any agency conducting firearms training programs shall meet certain minimum requirements. Any individual instructing a firearms training program must be a certified police firearms instructor or an individual recognized by the agency head as being qualified to instruct such a program. A qualification course, or in-service firearms training program, must be approved by the agency head. Courses of fire and qualification standards shall be approved by the agency head and should be designed to reflect competency in the use of police firearms. At least one firearms instructor who meets the requirements of Paragraph IV.A.1.e.1. above must be present during firearms qualifications. Only sixteen (16) hours of requalification time may be used to satisfy the annual in-service training requirement. Every officer who is required, or allowed, to carry a firearm by an agency must qualify at least once per training year with that weapon. There are two types of new officer evaluation systems in widespread use in the United States. These programs are the Field Training Officer (FTO) model (sometimes also called FTEP for Field Training and Evaluation Program), and the Police Training Officer (PTO) model. The end result of determining the suitability for permanent employment is the same. Both programs are recognized by KS-CPOST. For the purposes of this document FTO refers to both FTO and PTO programs. Training delivered by an officer in his/her capacity as an approved Field Training Officer (FTO) may be applied toward satisfaction of the FTO’s annual in-service training requirement if that delivery meets certain minimum requirements. To receive in-service training credit for the delivery of training as an FTO, the FTO must, prior to delivering training in the capacity of an FTO, have successfully completed a formal training program for field training officers of at least sixteen (16) hours which has been approved by the agency head. The FTO must have at least twenty (20) contact hours with his/her trainee. 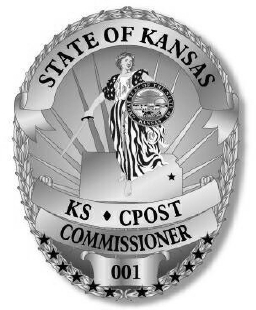 No FTO may receive in-service training credit for delivering training as an FTO unless, prior to the delivery of that training, the agency head has submitted a copy of the agency’s field training officer manual to the Executive Director of the Kansas Commission on Peace Officers’ Standards and Training. The manual shall include a list of all field training officers who meet the FTO training requirement set forth in Paragraph IV.A.1.f.1. above. Only twenty (20) hours of delivery of training as a Field Training Officer may be used to satisfy the annual in-service training requirement. 5. The officer being evaluated by the program may not receive in-service hours for participation in the program. Time spent traveling to, or from, training sites and programs does not qualify as training and will not be applied toward satisfaction of the annual in-service training requirement. Advancing educational and training technologies have made new training sources available to Kansas agencies. These sources include video tape; multi-media resources such as computer-driven compact discs (CD-ROM); and training delivered by satellite transmission, such as LETN, or compressed video such as Telenet 2 and online e-Learning classes. Receipt of training via these mediums may be applied toward satisfaction of the annual in-service training requirement if that training meets certain minimum standards and requirements. video- tape training and 20 hours of tested online e-Learning training; rather, they will receive only 20 hours. The student achieves a minimum passing score of 70% or above on a post-viewing examination, scored by the agency head, their designee, or the computer. A passing score of 70% or above is required before the training hour(s) received may be applied toward partial satisfaction of the in-service training requirement. Only twenty (20) hours of video training may be applied toward satisfaction of the annual in-service training requirement. All post-viewing examinations administered, and their results, shall be maintained by the agency for five years from the date the examination was administered. These records shall be made available for inspection upon request. The student achieves a minimum passing score of 70% or above on an examination, scored by the agency head, their designee, or the computer as part of the online e-Learning class. A passing score of 70% or above is required before the training hour(s) received may be applied toward partial satisfaction of the in-service training requirement. Only twenty (20) hours of training via tested online e-Learning instructional training hours may be applied toward partial satisfaction of the annual in-service training requirement. If an examination at the completion of the online e-Learning training is administered by the agency head or designee, the examinations administered, and their results, shall be maintained by the agency for five years from the date the examination was administered. If the testing occurs as part of the online e-Learning class or course, the agency shall only be required to maintain a record that the officer successfully completed the class or course. These records shall be made available for inspection upon request. Only twenty (20) hours of live, interactive multimedia training may be applied toward satisfaction of the annual in-service training requirement. Medical training and/or emergency first aid related training and/or recertification training that an officer receives may be used to satisfy no more than 16 hours of his or her annual in-service training obligation. Any agency which conducts any specialized course, class, or other departmental in-service training may make its training program available to other agencies or departments. Location of the course or class. Individual agencies shall be responsible for submitting reports that their officers have successfully completed the annual in-service training or continuing education annual requirement. Reports of training received shall be forwarded to the Kansas Commission on Peace Officers' Standards and Training for certification by the Director; in fact, Kansas Law, at K.S.A. 74-5607a(b), expressly requires the submission of such records to KS-CPOST. Training reports evidencing receipt of training to be applied toward the annual in-service training requirement shall be submitted to KS-CPOST no later than thirty (30) days after the training concludes. Effective in May, 1996, the Kansas Law Enforcement Training Commission officially changed its Hazardous Materials continuing education (in-service) training requirements. THE COMMISSION NO LONGER MANDATES SUCH AN INSERVICE TRAINING REQUIREMENT. Applicable federal law in this area requires that, after receiving awareness level training, officers who may encounter hazardous materials events must receive annual refresher training or demonstrate continuing competency; applicable law mandates no specific hour requirement. Accordingly, the Commission now considers in-service hazardous materials training as a matter to be determined at the local level. The Commission reminds agencies; however, that federal law requires some annual refresher training, or annual demonstration of competency. Any person who provides Hazardous Materials training shall have successfully completed a training course, such as courses offered by the U.S. Fire Academy, for teaching such subject matter, or shall posses the training/academic credentials and instructional experience necessary to demonstrate competent knowledge of the subject matter and instructional skills. THE KANSAS COMMISSION ON PEACE OFFICERS' STANDARDS AND TRAINING RESERVES THE RIGHT TO DECIDE THOSE MATTERS PERTAINING TO LAW ENFORCEMENT TRAINING NOT COVERED HEREIN.